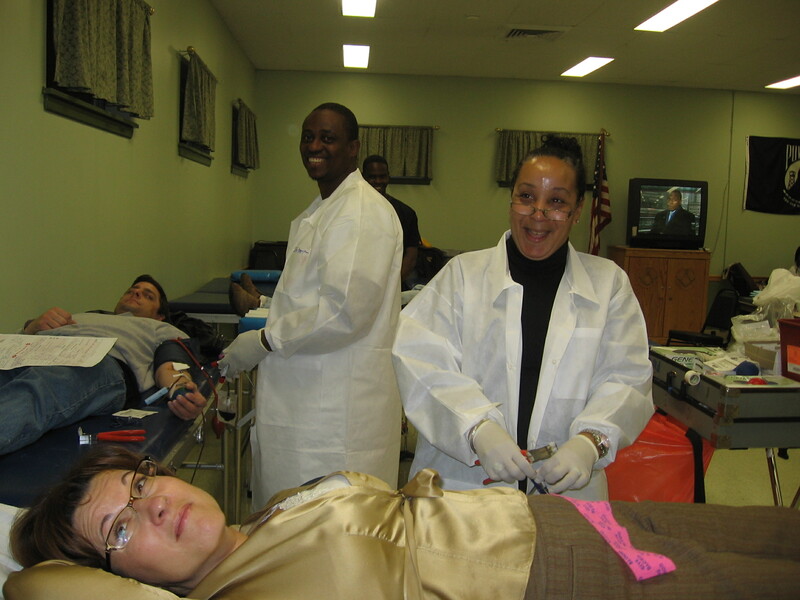 Tracie and William are both collecting blood at the Masons in Westfield Blood Drive. I just saw on this mornings news that it is National Blood Donor month. The Pelican Ski , shop is participating by offering all donors free “Ski Lift tickets or snow board ticket ” from January 1 to January 31st 2012 in New Jersey and Pennsylvania. Bring your proof of donation letter to any Pelican Ski shop for your free rental certificate until February 5, 2012. See Pelican ‘s web site for all Blood Donation locations. My husband is a regular blood donor at the place I work at, the Blood Center of New Jersey. Grace Riordan, R.N. 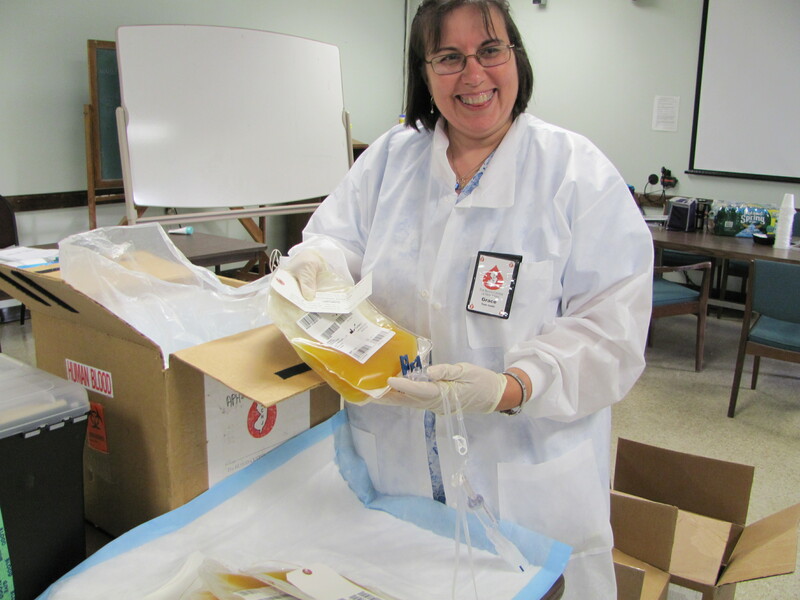 is packing the Platelet products for Field Apheresis located at Wayne Health Dpt. Team Leaders, Grace Riordan, R.N. and Angelique Crisciolo, R.N. 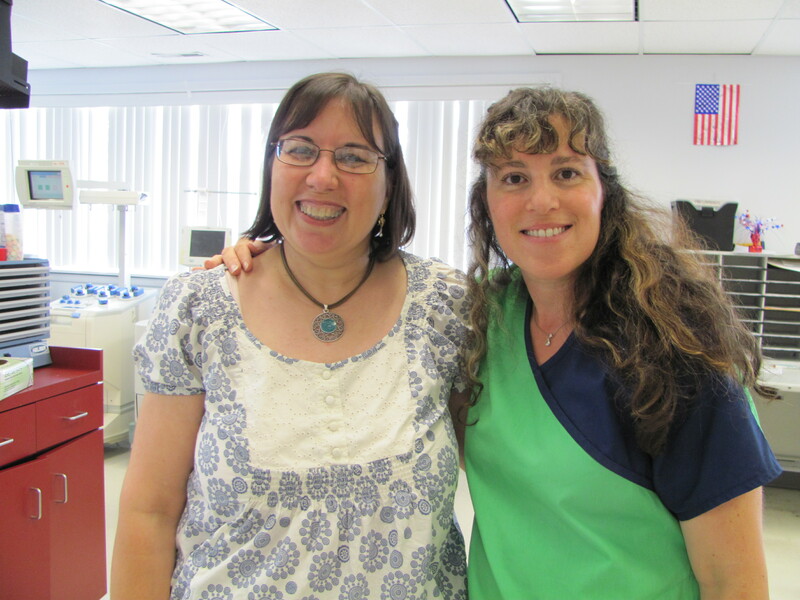 at the Blood Center of New Jersey , Parsippany location. Donate blood! It can save 3 lives. 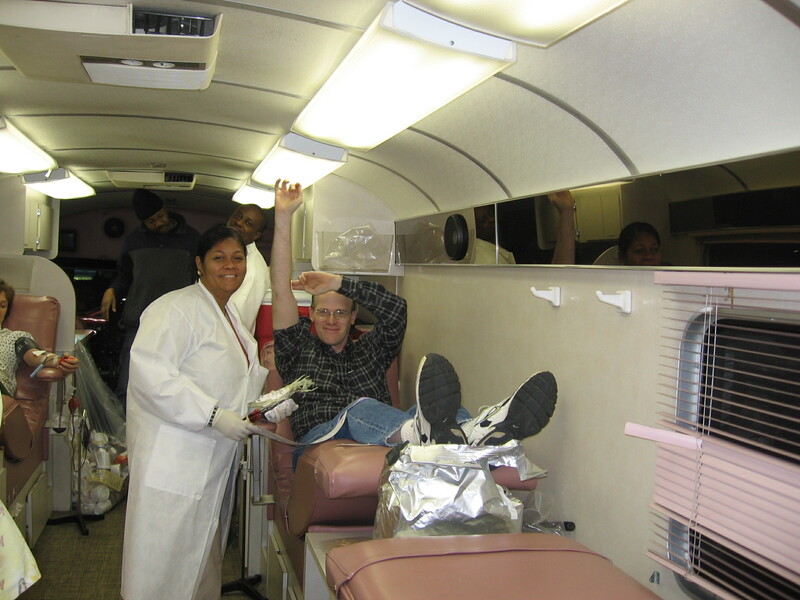 This is a photo of my husband donating blood on a bloodmobile with BCNJ. Consider donating blood today to save a life! There are many websites to check for blood drives in your area. Smile, you're saving a life by donating blood! Consider taking time out to donate a pint of blood this weekend or anytime after. Donate a pint of blood and save a life. For Blood Donation sites in your area, check on-line or the yellow pages. Please send comments if and where you donated.